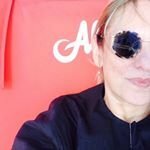 Who or what is the Böögg? 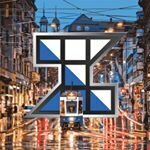 The Böögg is the main protagonist at Zurich's Sechseläuten spring festival. And there is more to this snowman figure than first meets the eye. 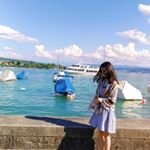 Who or What is a Böögg? The word “Böögg” is probably related to the word “bogeyman” and similar names in other languages for this frightening imaginary figure, such as Bullebeiss, Buhmann or Boesman. 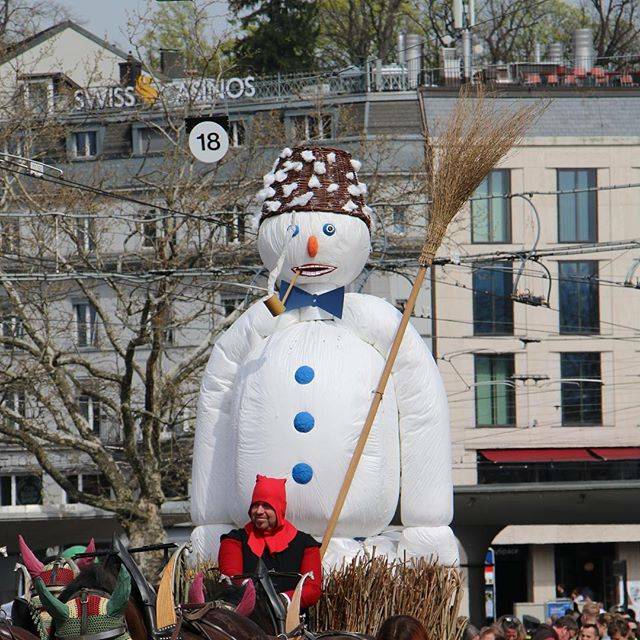 In Zurich, the Böögg resembles a snowman and symbolizes the winter. 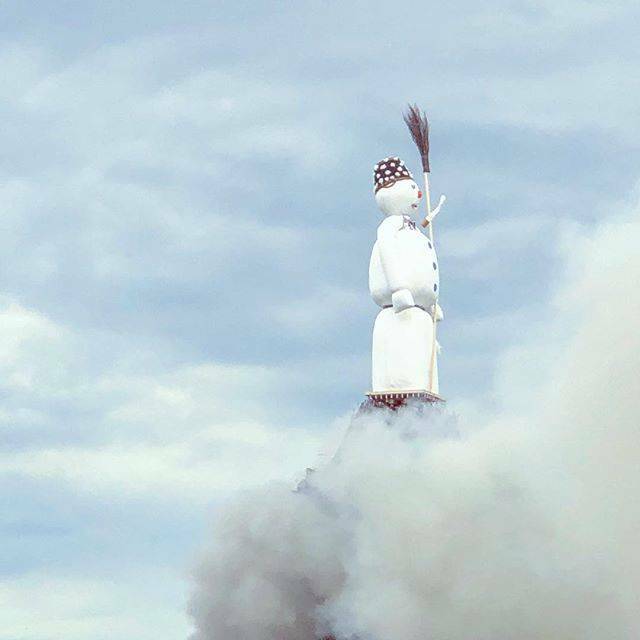 The burning of the Böögg serves to drive out the winter and herald the spring. 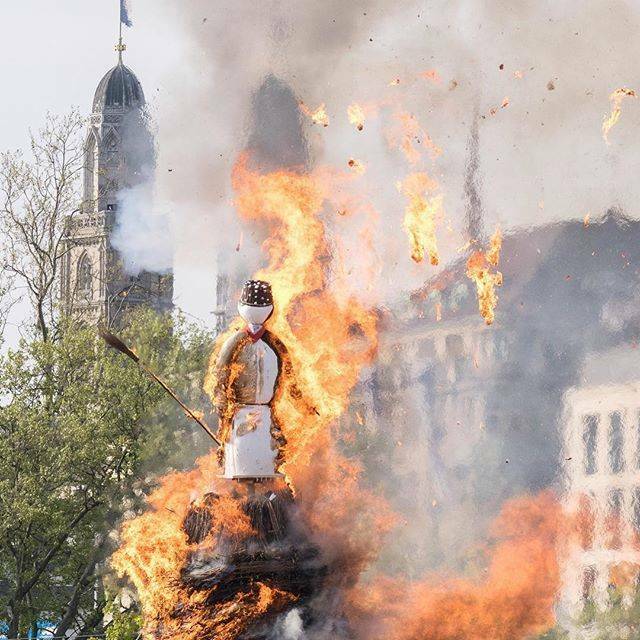 In bygone days, every year young boys in Zurich’s Kratz quarter – formerly the area between the Fraumünster and Bürkliplatz – would burn a Böögg-like figure on the day of the vernal equinox, the same time as the guilds would commence their Sechseläuten celebrations. 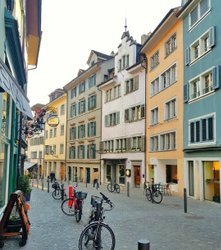 At that time, there was not just one but several Bööggs, which met their fate in various places in the quarter. Before being burned, they were usually tied to wagons and pulled through the streets accompanied by jeering youths. 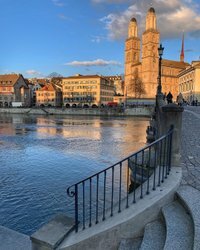 It was not until the end of the 19th century that the two customs – Sechseläuten and the burning of the Böögg – were combined. 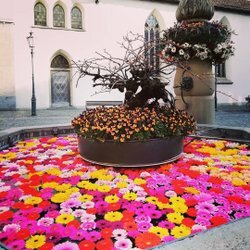 Thus the procession of jeering youths became what is now the children's parade, held on the Sunday before Sechseläuten, while the Böögg was adopted as the main protagonist of the Sechseläuten spring festival. 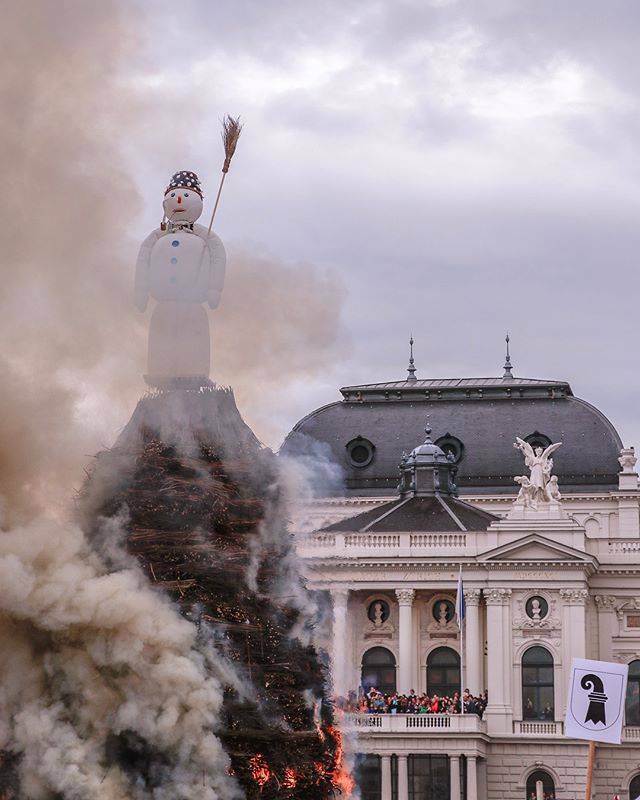 Nowadays, it is tradition to ask the Böögg to forecast the weather for the coming summer. 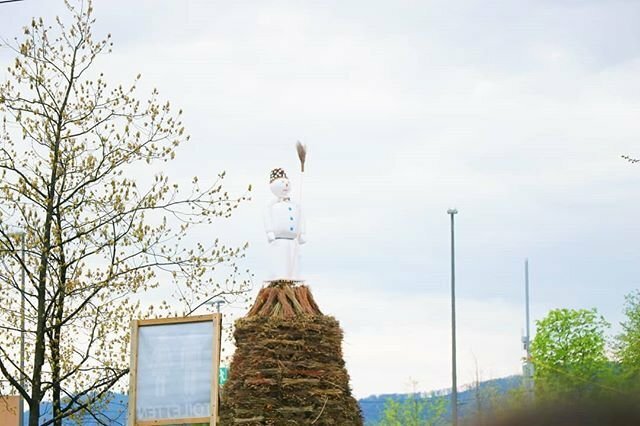 During the Sechseläuten ceremony, the pyre with the Böögg on top is set alight at 6.00pm on the dot. 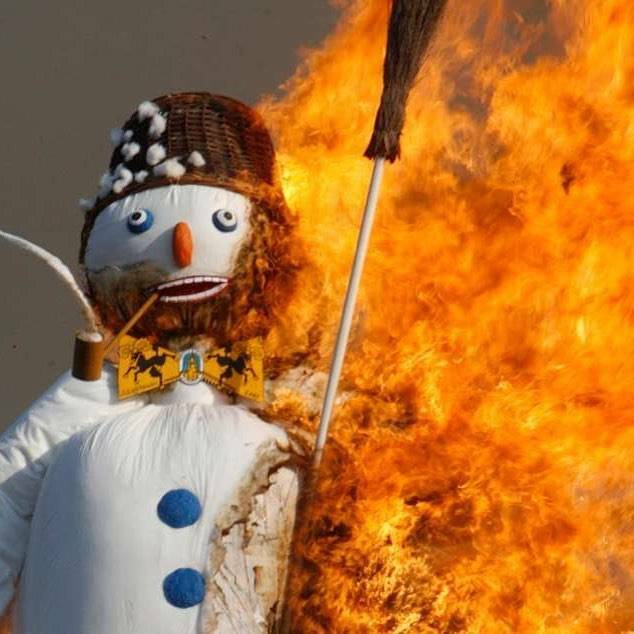 It is said that the faster the fire reaches the snowman figure and his head – which is packed with firecrackers – explodes, the finer the summer will be. 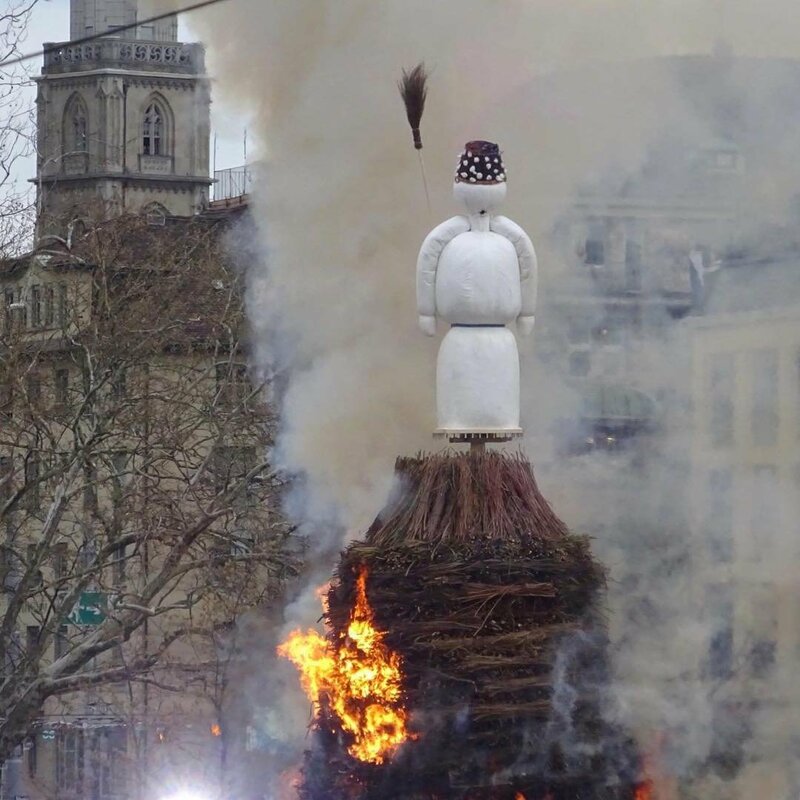 Incidentally, the Böögg was very accurate in his prediction for the extremely hot summer of 2003 – his head exploded after a record-breaking 5 minutes, 42 seconds.